Get your basics of Wi-Fi starting with RF characteristics. Before we get into RF characteristics, we want to introduce our series of interviews we did at Cisco Live 2018. We interviewed many wireless engineers to get to know them better. We ask ten questions, we get ten answers. So meet Jason Beshara. We introduce him starting at minute 7:06. RF is Radio frequency. When talking about Wi-Fi we are referring to unlicensed radio frequency in the 2.4 GHz and 5 GHz spectrum. Wi-Fi is not the only radio frequency in the air. There are other frequencies such as microwave and AM/FM radio. A carrier signal is used to take AC signal from the radio to turn it into a waveform. Information is transmitted from the antenna on the carrier signal as an electromagnetic wave. Modulation is done to modify the signal to create the carrier signal which will carry the 1s and 0s. When defining a wave, we talk about its wavelength. It is the distance between two identical points in a wave. Higher frequencies have a shorter wavelength thus they get attenuated faster. Lower frequencies have longer wavelengths. 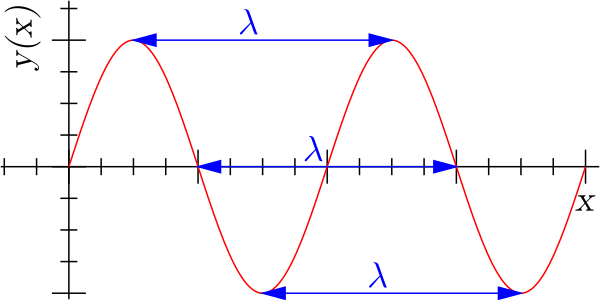 Another characteristic of an RF wave is its amplitude. This is the power of the wave or signal strength from the transmitting device. As signal is propagated through the air it is received at a lower amplitude. Higher amplitude increases the chance of the receiver successfully demodulating the signal. Frequency is another characteristic. This is the interval in which the wave repeats or oscillates. A 2.4 GHz signal repeats 2.4 Billion cycles per minute. Higher frequencies have shorter wavelengths. Then we have phase. Phase compares two RF waves. If a device receives two copies of an RF wave, the phase can determine whether it is positive or negative. To make multiple RF waves positive, they would need to be in-phase. This would strengthen the wave or increase the amplitude thus increasing the ability to demodulate signals. If received signals are out-of-phase, the signals may cancel each other out if 180 degrees out of phase. When a signal bounces off an object such as a mirror or metal. It’s like aiming a flashlight onto a mirror and the signal bounces in a different direction. This occurs when RF goes through material such as a wall. Absorption will weaken a signal (attenuate). Material such as dry wall, concrete, doors, windows, etc. Each material has different attenuation values. Shine a flashlight through a white sheet and some signal is absorbed by the material. When signal goes through a different medium, such as water, the signal is bent. Take a glass of water, as an example, and notice how light shining through one side is bent leaving the other side. Signal that hits an uneven surface and reflected in multiple directions is scatter. Think of a disco ball or chain link fence. As signal hits these surfaces it is reflected everywhere. Diffraction occurs when a signal goes around an object. Like a rock in the middle of a flowing river. Water flows along the sides of the rock. Directly behind the rock there is less of a current from the stream. With Wi-Fi, signal may not go through a concrete pillar but it will go around it. But a device directly behind that pillar will be in an RF dead zone or RF shadow. Earlier we talked about absorption. Attenuation is when there is a decrease in amplitude and the signal is weakened or there is a loss of signal. This can commonly happen through absorption. Multipath is a result of scatter and reflection. A device can receive multiple copies of the same signal through multipath.